These Italian Sweet Fried Dough Balls, also called castagnole in Italian, are incredibly good and very easy to make. The perfect and traditional recipe for Carnival time. The time after Christmas in Italy is basically spent waiting for Carnival, a festivity that is celebrated in many Catholic Countries and in different ways: the exact date depends on when Easter falls, starts 2 weeks before the beginning of Lent and ends on Shrove Tuesday. As a matter of fact, it is usually celebrated during February or March and in Italy it mainly revolves around food. 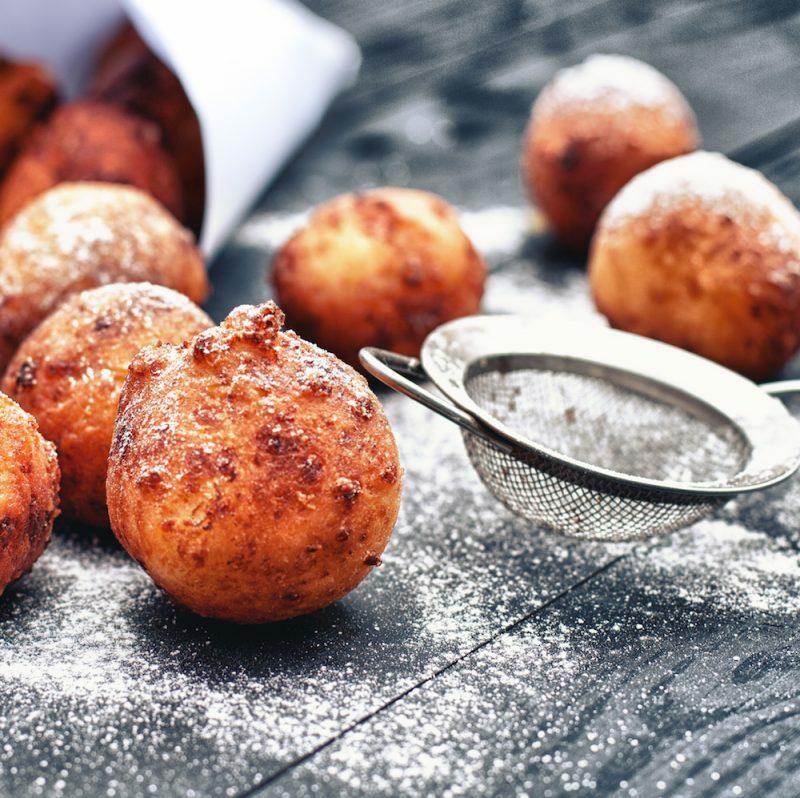 These Italian Sweet Fried Dough Balls, called castagnole, are one of the many typical foods you can find in Italy around Carnival time and since they’re a little pleasure easy to make, they’re always present in every Italian house. If well made, they’re crunchy on the outside and soft on the inside! Do not think to your usual donuts, these castagnole are different, they’re very soft in the inside and absolutely not greasy. But how do you get very soft castagnole, able to resist a few days after being fried or cooked in the oven? 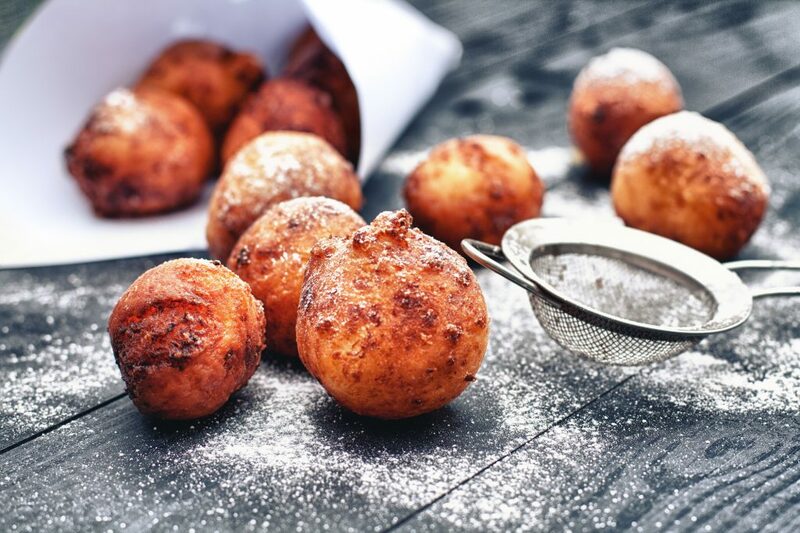 Which are the secrets to prepare the softest Italian Sweet Fried Dough Balls, those that make you want to eat one after the other? The first thing to do is to take care of the dough that must be not too soft nor excessively liquid and, above all, it must be airy in such a way that the balls swell perfectly. Another essential element is frying: the oil must be brought to a maximum temperature of 170°C/338°F in such a way that the balls are cooked perfectly both outside and inside and that they will swell without soaking during cooking. Once you have dipped the castagnole inside the oil, the flame should be lowered so that the balls cook slowly and remain soft inside and crisp and golden outside. 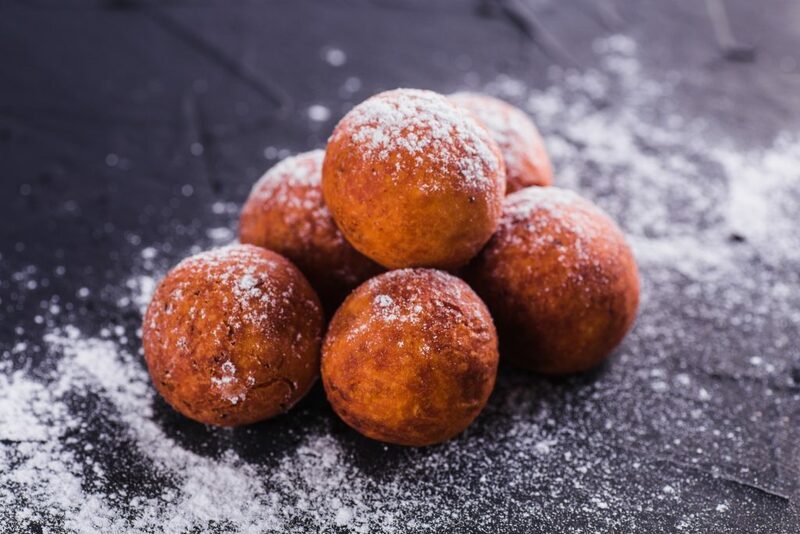 To prepare very soft Italian Sweet Fried Dough Ball, many people use butter but the end result may not be good at all: butter weighs the dough a lot and the risk that in cooking they will lower and won’t grow. Better to focus on the classic ingredients and work them well so that they swell. There are two different recipes for the castagnole: the classic made with a spoon and those worked with the machine as if the dough was a short pastry. In the first case, the dough is worked in a bowl and is soft so it will be transferred into the hot oil using a spoon (for the complete process you can see my video and read my recipe) while in the second case, the dough is prepared with a mixer, is firmer and the balls are cut using a knife and then formed with your hands before being fried. Do you want to know the extra secret for very soft castagnole? Ricotta cheese! Just add a tablespoon of ricotta cheese to the basic dough and the castagnole will swell even more, remaining very soft both after cooking and for a few days to follow. The second secret in order to obtain very soft Italian Sweet Fried Dough Balls? Add a little Greek and sugar-free yogurt to the dough! Do you trust me? Follow my recipe and you will get some really unique and delicious soft castagnole, to do and redo. If you are in the mood for frying, try also my Sweet Fried Pizza Dough! Transfer the castagnole into a bowl and sprinkle with granulated or icing sugar then allow to cool and eat. If you prefer baking in the oven instead of frying, you must slightly change the recipe to make sure that the dough is more compact and can be worked with your hands. Here is the recipe for making very soft baked castagnole. Remove the castagnole from the oven, transfer them into a bowl and sprinkle with granulated sugar or icing sugar, then allow to cool and eat.